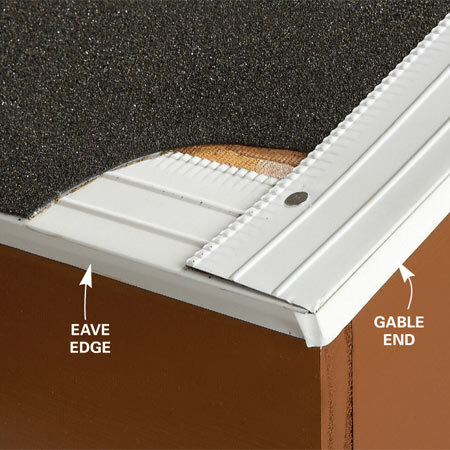 Flashing | Linnert Roofing, Inc.
Drip edge is installed on the perimeter of the roof along the eaves and provides an added level of waterproofing. 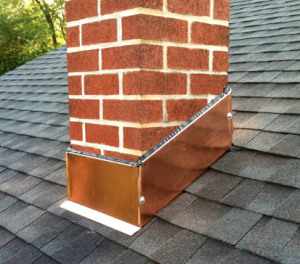 Deflects water into a rain gutter, rather than between the rain gutter and fascia, where it can damage the fascia board. Valleys naturally deal with more water run-off than the rest of the roof, and therefore require special attention. There are two types of valley construction – closed valleys and open valleys. 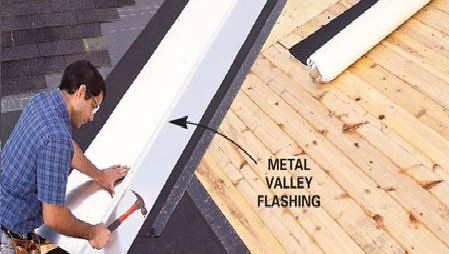 Closed valleys have shingles covering the valley, while open valleys have a gap between the shingles on either side, with metal in the valley.